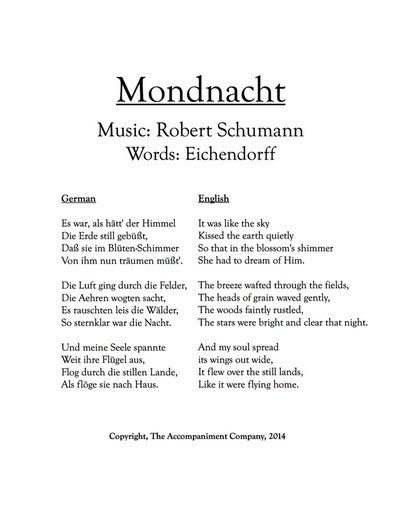 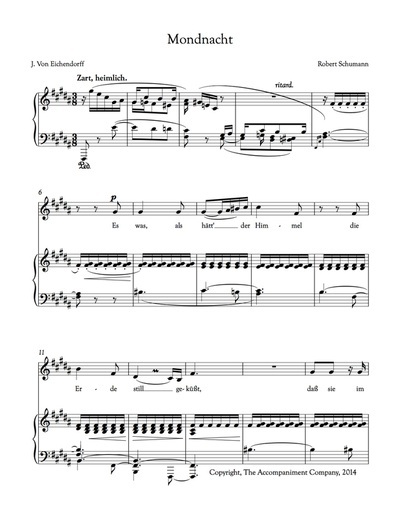 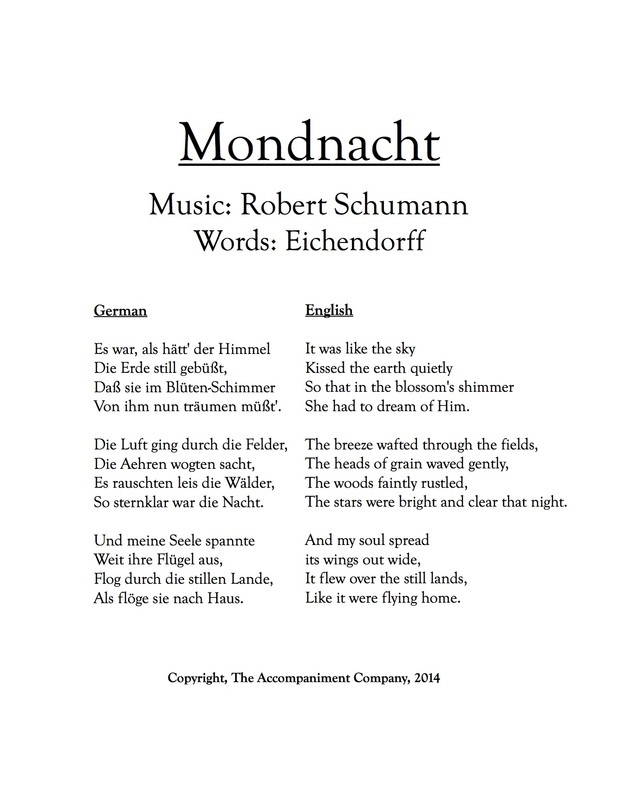 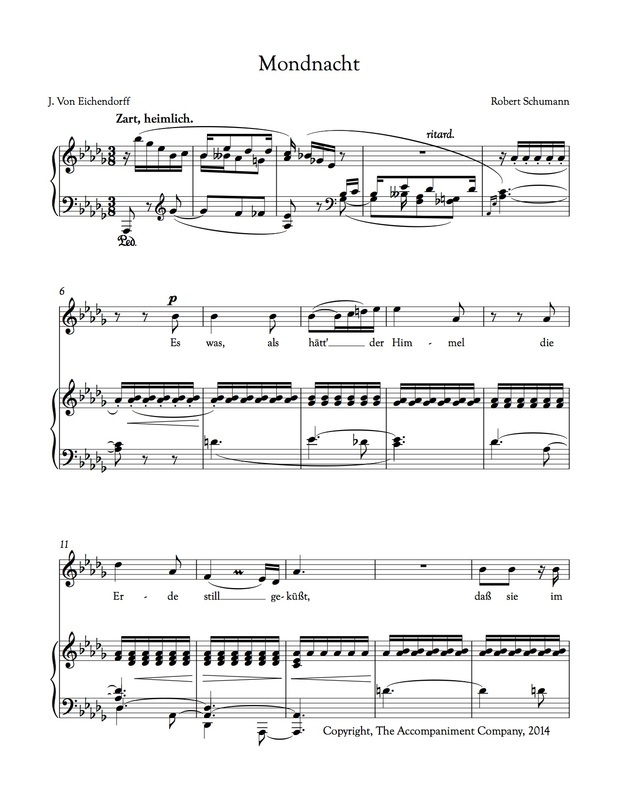 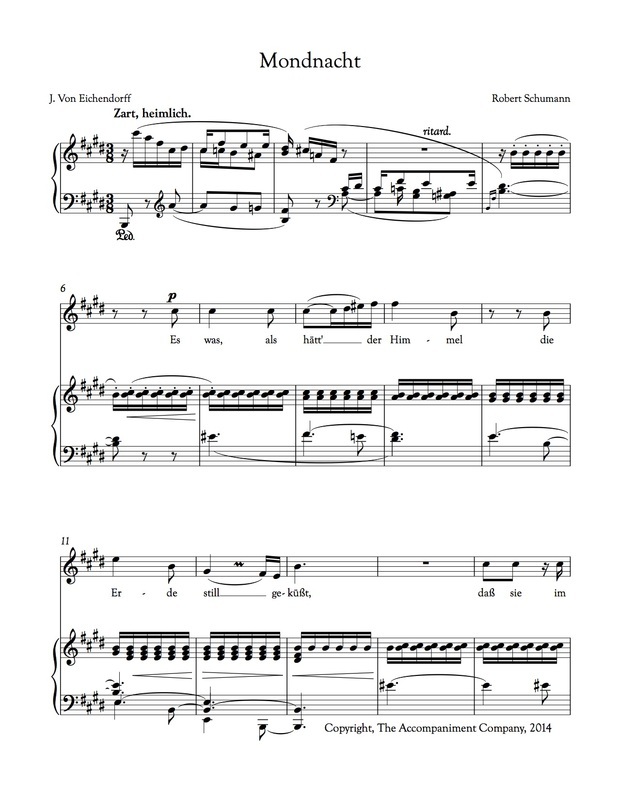 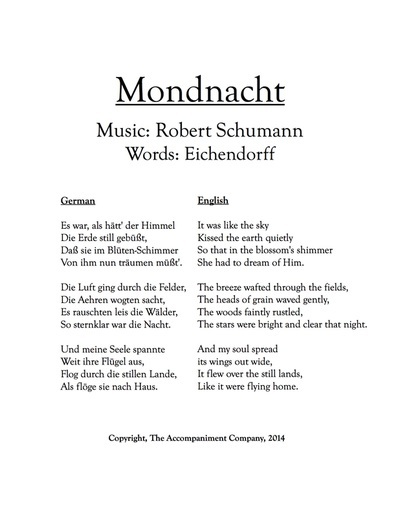 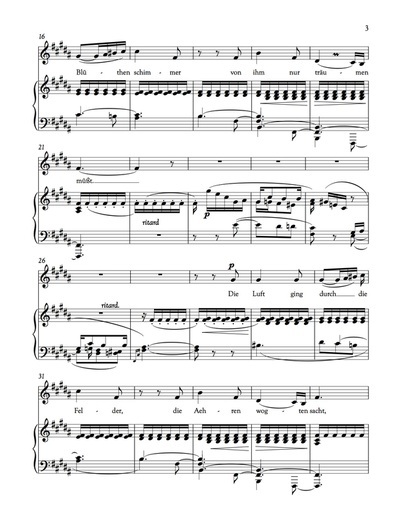 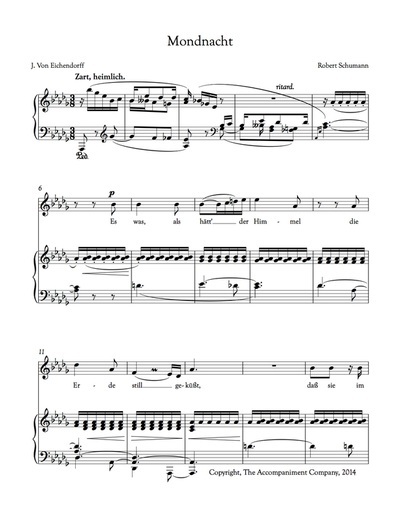 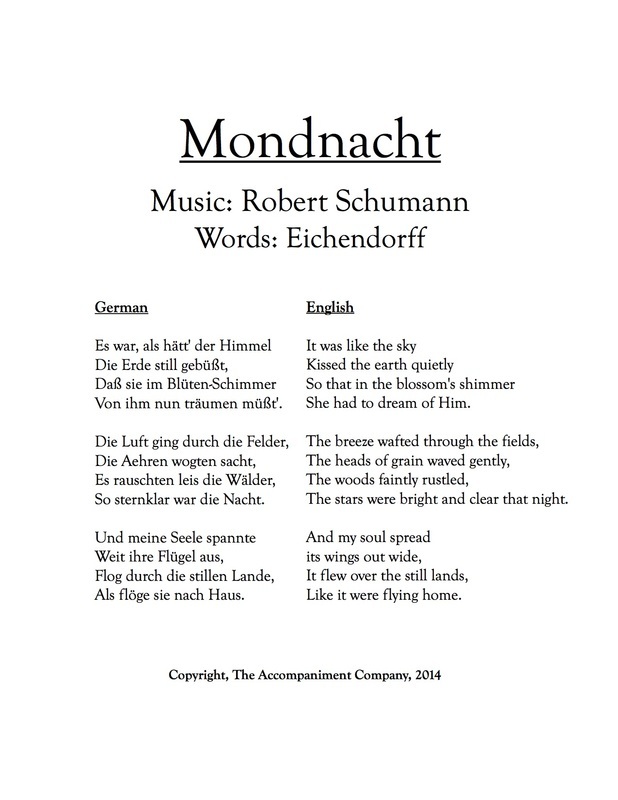 Mondnacht is one of Schumann’s most beloved songs, and usually thought of as the highlight of Liederkreis (the song cycle Mondnacht is part of). The piano accompaniment’s ethereal nature fits perfectly with the other-worldly poetry of Eichendorff. 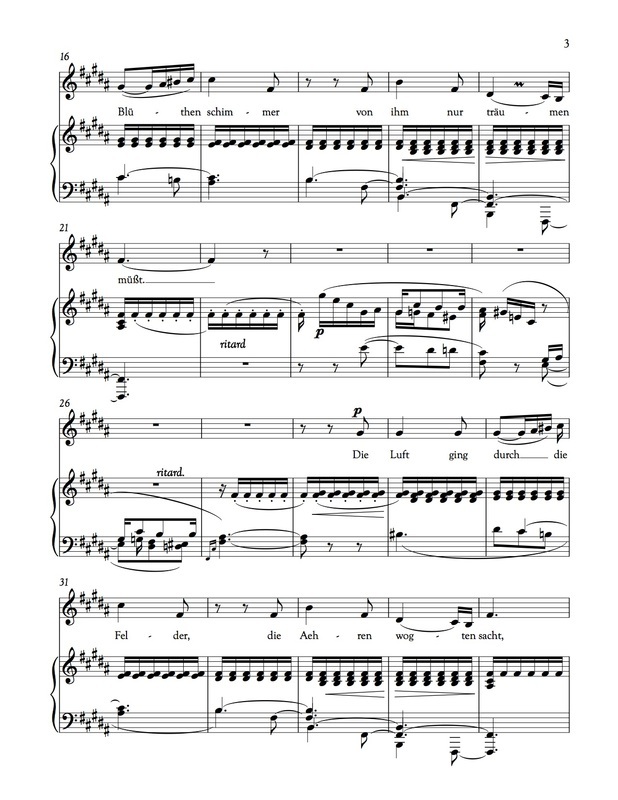 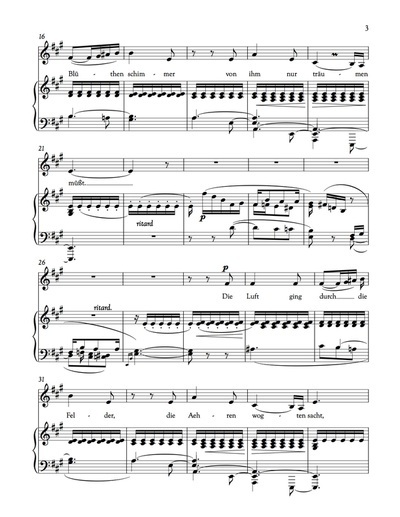 Almost all the thematic content of the melody comes from the opening eight bar vocal phrase. Like Brahms, Schumann employs a strophic form, with the first and second verses separated by a repeat of the piano introduction. 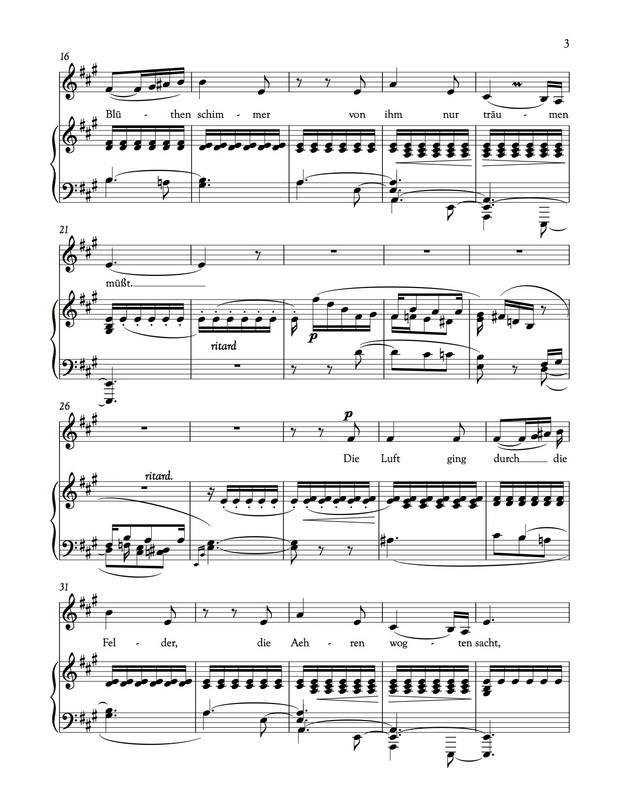 Toward the end there is a broadening of the music as “my soul spread its wings out wide” is sung. 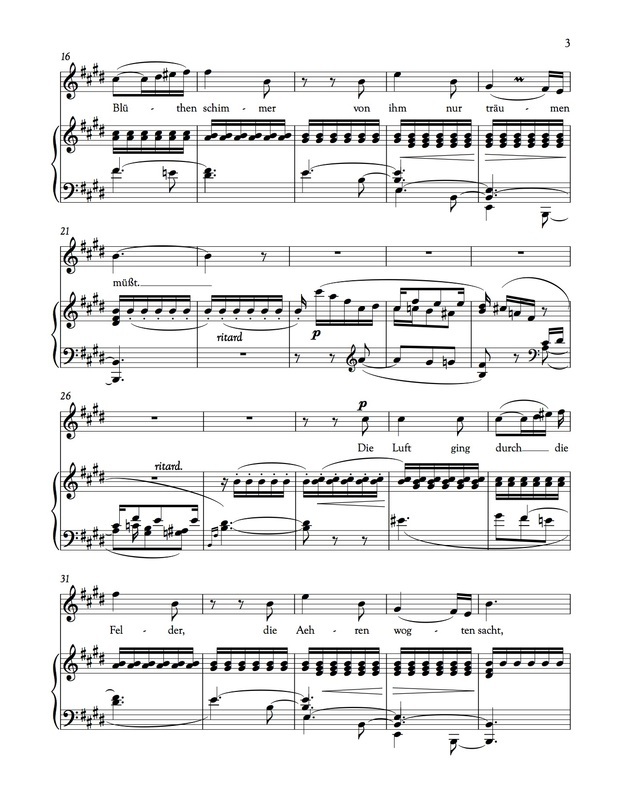 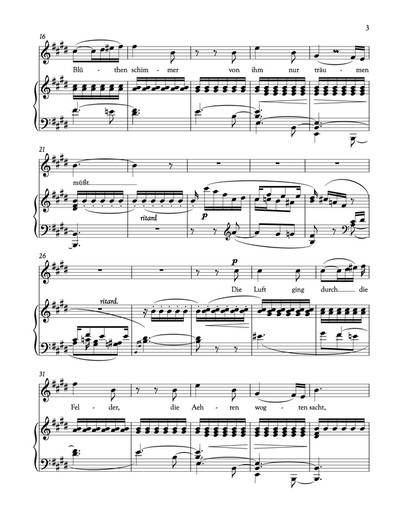 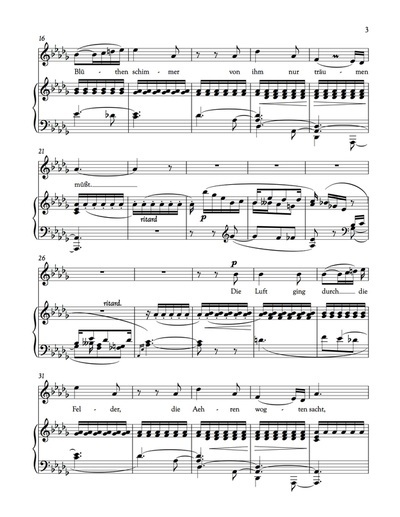 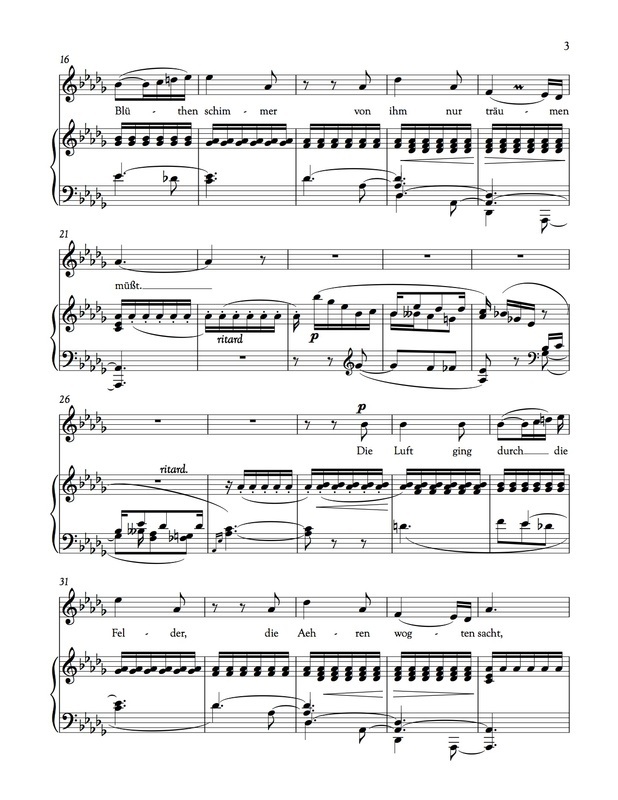 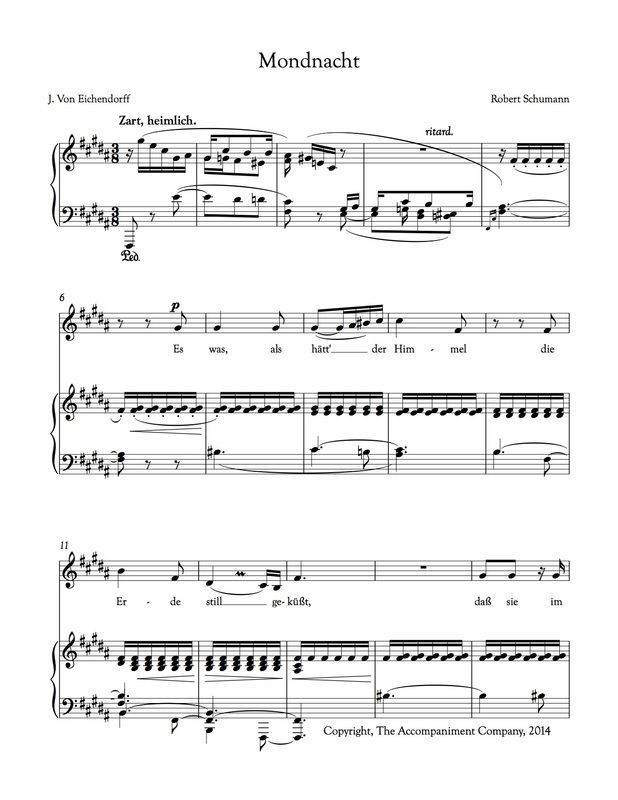 Following a last statement of the opening phrase, an elaboration of the opening piano introduction closes the song. 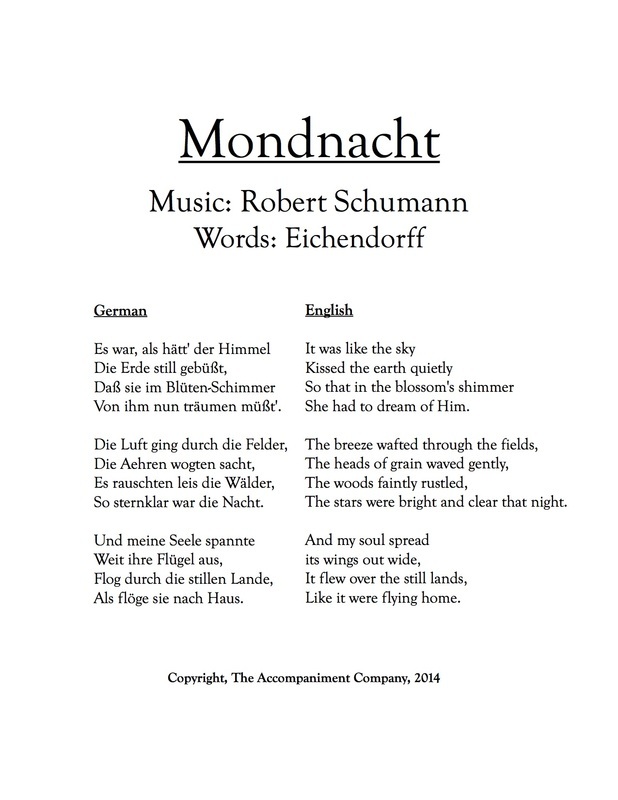 Schumann was a German composer and a music critic. 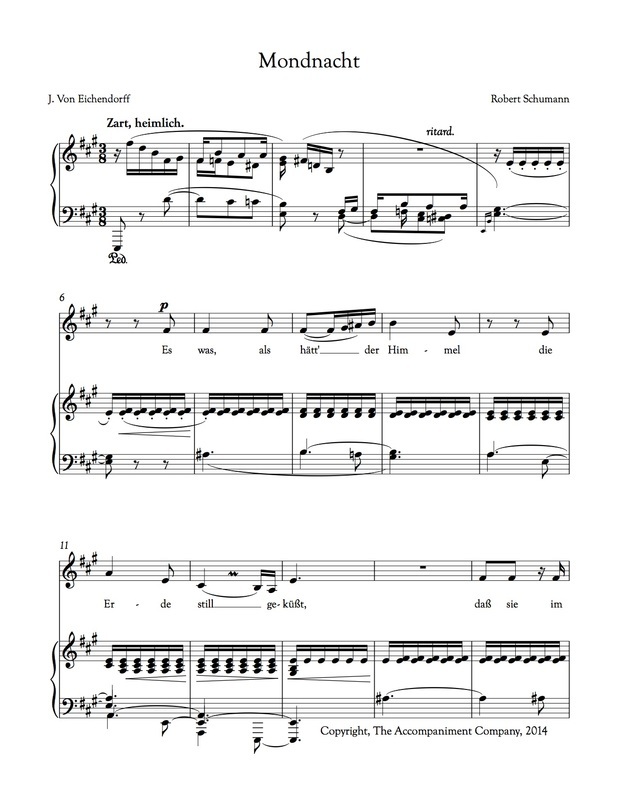 He composed a great body of piano music, as well as lieder, four symphonies, one opera, and other orchestral, choral, and chamber works. 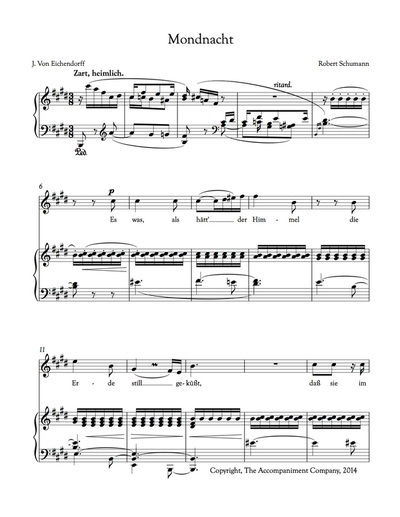 Schumann is one of the great composers of the Romantic era.